VATICAN CITY (CNS) — Pope Francis asked Catholic dioceses around the world to set up a permanent memorial of the Year of Mercy by establishing a hospital, home for the aged or school in an under-served area. “As a reminder, a ‘monument’ let’s say, to this Year of Mercy, how beautiful it would be if in every diocese there were a structural work of mercy: a hospital, a home for the aged or abandoned children, a school where there isn’t one, a home for recovering drug addicts — so many things could be done,” the pope said. 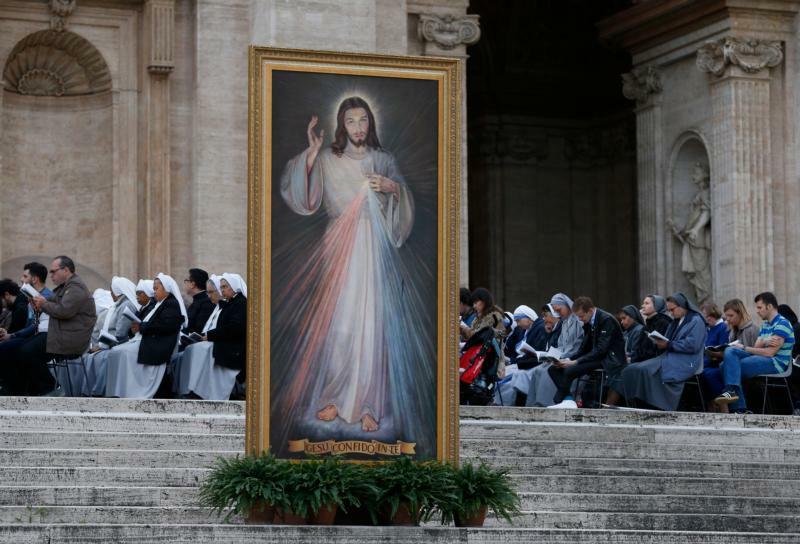 “Let’s think about it and speak with the bishops,” the pope told thousands of people gathered in St. Peter’s Square to pray the Divine Mercy chaplet of St. Faustina Kowalska, and also to remember St. John Paul II, who promoted the devotion and died April 2, 2005. Reciting the “Regina Coeli” prayer at the end of Mass the next day, Pope Francis said the Divine Mercy Sunday celebration was “like the heart of the Year of Mercy,” and he announced that Catholic parishes throughout Europe would be asked to take up a special collection April 24 as a sign of closeness and solidarity with people suffering because of the war in Eastern Ukraine. God’s mercy should drive people to love others, “recognizing the face of Jesus Christ above all in those who are most distant, weak, alone, confused and marginalized,” he said. “Christ, who for love entered through doors barred by sin, death and the powers of hell, wants to enter into each one of us to break open the locked doors of our hearts,” the pope said. Where people are wounded, fearful and uncertain, Christians are called to reach out with Jesus’ peace, mercy and healing power.